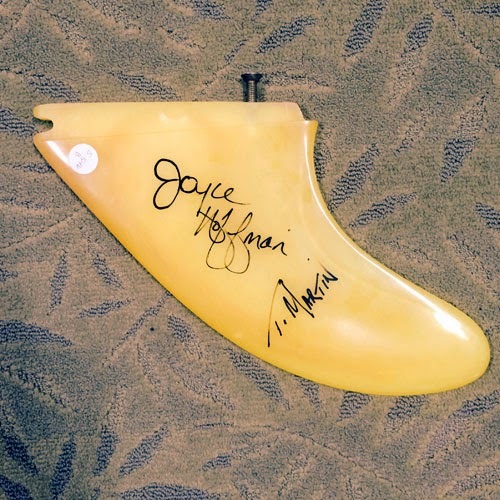 This fin, signed by Joyce Hoffman and Terry Martin, came along with a Joyce Hoffman model surfboard that was Joyce's own rider, shaped by Terry. Donated by Don Granata, in 2011, it will be one of the boards featured in our upcoming "Trailblazers in Women's Surfing" exhibit, opening on April 25, 2015. 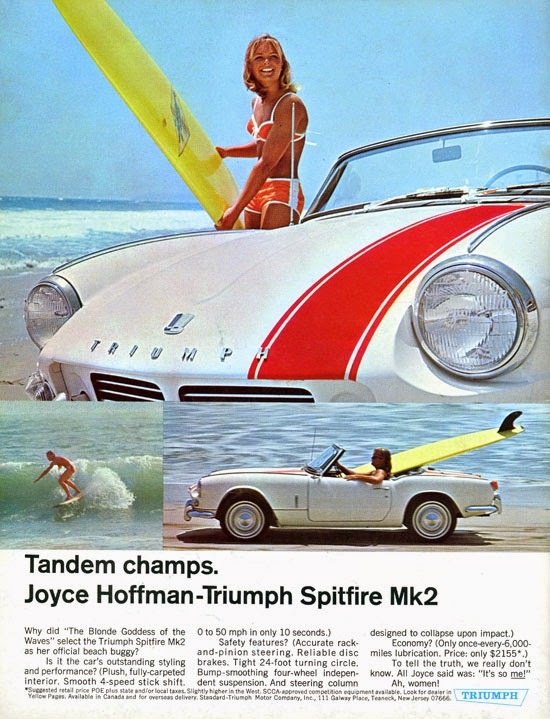 Joyce is certainly a "trailblazer" and has been a longtime supporter of Surfing Heritage.